I am an ex-competitive swimmer. I bought my house in 1996, a half block up the hill from Webber Park on Colfax because it was close to the pool. At that time I was working second shift, so I was able to swim laps at their morning time slot. For two and a half months in a glorious Minnesota summer I was able to swim my laps outside! 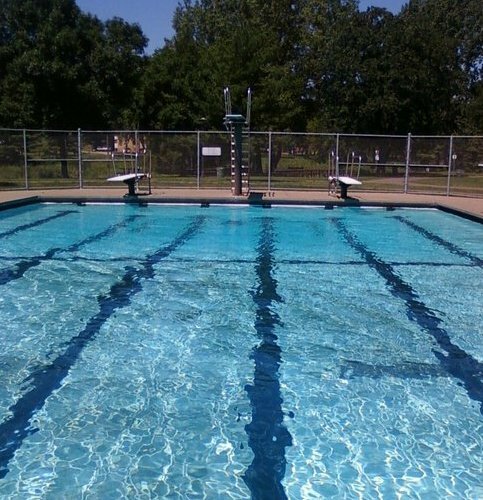 It wasn’t summer until the pool opened and I was always sad to see it close. I bought a season pass each summer, often being the first one to do so. I’ve made some great friends through swimming at Webber Pool. Even made acquaintances there, people I only saw at the pool. I taught my son how to swim there. Most of the time, the park was not safe to be in, especially in the evening. I was once in the middle of a shooting with my son in a stroller, returning home from the baby pool near the community center. But the big pool was always safe. After the city made Rosacker and North Commons into water parks, Webber Pool was the only ‘real’ pool left in the city. Water parks are fun, but they don’t allow for swimming. Webber had three diving boards, a shape that allowed for lots of wide open fun. Twenty-five meters for laps. It could get pretty wild and crazy on hot afternoons. Weekend mornings were perfect peaceful times to relax, enjoy the sun and water. Outdoor pool water sparkles. I can dive under, lay on the bottom, look up at the sky and see prisms. It’s a magic world. I moved after eight summers, to raise my son in a safer area, but we came back every summer on an almost daily basis to swim. Each summer we were thankful it was opening again. I know it was old and I know how expensive it is to repair, and I know the city didn’t make money on it. But some things are priceless and this pool was a gem. I fail to see how the city couldn’t update the park and keep the pool intact.